On Wednesday, December 19 Federal Reserve Chairman Jerome “Jay” Powell announced that the Federal Reserve was raising the rate that it charges banks to borrow money and that the Fed was likely to raise rates again in 2019. The announcement triggered a massive selloff of stocks that last for four days all the way to Christmas Eve. An enraged President Donald J. Trump (R), who appointed Powell reportedly told aides that Powell “is making me look like Hoover.” Herbert Hoover was President during the stock market crash of 1929 that began the Great Depression. The New York Times reported that Trump was considering firing Powell. On Saturday, December 22 Treasury Secretary Steve Mnuchin denied that the President had any intention of removing Jay Powell. The markets lost most of 2018’s gains in the four days following the rate hike, but has rebounded significantly after Christmas. Sen. Shelby said that he has met with the President and Vice President in an attempt to end the government shutdown. The President is holding up legislation to fund the government on demands that the Congress appropriate $5 billion for construction of his border wall. Shelby said that he offered a compromise where the President got $2.5 billion for border security in 2019 and $2.5 billion in 2020; but that compromise was ultimately rejected. The federal government went into partial shutdown at midnight on December 21 and as of press time there did not appear to be an end in sight. Twenty five percent of the federal workforce has been told not to come to work and it is unclear when even essential personnel will get paid for their work. 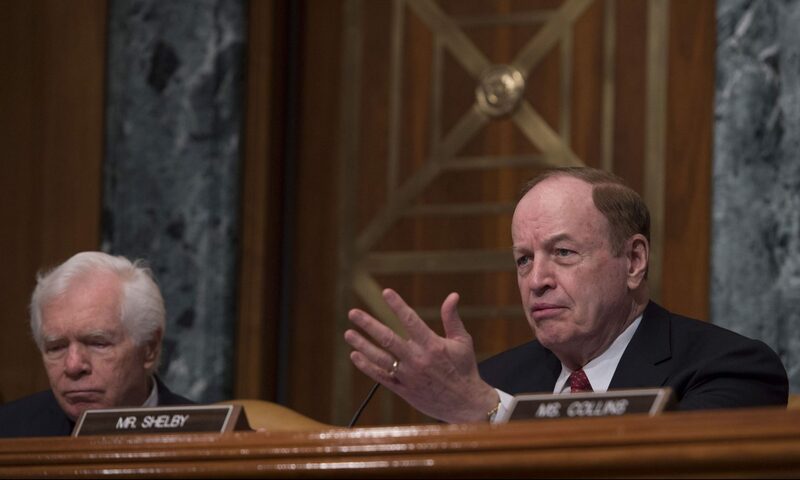 Senator Richard Shelby is the Chairman of the powerful Senate Appropriations Committee. He has served Alabama in the U.S. Senate since 1987. Shelby previously served four terms in the U.S. House of Representatives and two terms in the Alabama Senate. Richard Shelby lives in Tuscaloosa.